"Mr. Jones terrorized our city by pointing a gun at a store clerk, as well as shot at a witness and his children that followed him from one of the scenes." PASADENA, Texas — The Pasadena Police Chief is very angry with a Harris County judge after an armed robbery suspect was released from jail twice without having to post bond. 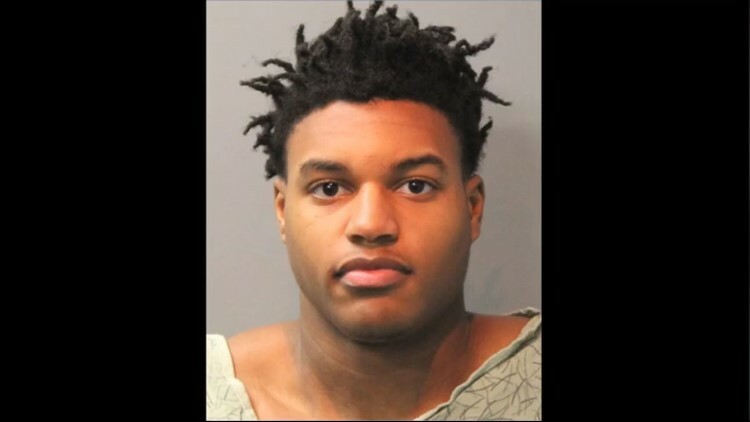 Chief Josh Bruegger posted a video to Facebook saying the judge in the 230th district court released Ja'Kouri Jones on a personal, or PR, bond for the second time this month. “You have the frustration that we catch them and they’re turning around and sending ‘em back out,” said Chief Bruegger. Jones was arrested last week for multiple armed robberies at Walgreens and CVS stores in Pasadena. "Mr. Jones terrorized our city by pointing a gun at a store clerk, as well as shot at a witness and his children that followed him from one of the scenes," said Chief Bruegger. The video has since gone viral, being shared more than 4,000. “I guess I never dreamed that it would get this big. It really was an education piece for our community," Bruegger told KHOU 11. Chief Bruegger said Jones committed two armed robberies on Jan. 4. On Jan. 6, he was arrested for unlawfully carrying a weapon in a motor vehicle. He was released on a personal bond. On Jan. 13, Jones allegedly committed two more aggravated robberies in Pasadena. He was arrested and charged with four counts of aggravated robbery and one count of aggravated assault. Jones was again released from jail on another personal bond, which is a signature that guarantees his promise to appear in court at a later date. "It's disappointing that you have a defendant charged with multiple felonies, including an armed robbery and shooting at a witness, that's allowed to walk out of the front doors of the jail with just his signature that he'll appear in court again," Chief Bruegger reiterated. Court documents show Harris County prosecutors asked for a high bond twice, noting several robbery cases happened after Jones was released on the first PR bond, adding “The State has sincere concern for the safety of the public.” However, Judge Chris Morton of the 230th Criminal Court did not grant either request. A clerk said Judge Morton, who was elected in November 2018 and sworn in earlier January, was out for the day and declining to comment about this case. According to bond paperwork, Jones is required to wear a GPS monitor and must follow a curfew. He’s due in court February 27 on a misdemeanor gun possession charge and March 26 on six felony charges.